What Does Full Sun or Partial Shade Mean? What Does Full Sun and Partial Shade Mean? How Much Sun Do the Plants in My Garden Really Need? Are you puzzled by how much sun your plants need to thrive? Plants have very specific requirements regarding how much sun exposure they need for optimal growth. Luckily, plants usually come labeled with their sun exposure requirements. You can also find their preferences in most catalogs and gardening books. Generally, there is some flexibility regarding exposure, such as Full Sun to Partial Shade. The hard part comes in trying to figure out just how much sun plants are actually getting in your yard. There are several gadgets available, that measure the amount of sunlight that hits them. However, measuring sun exposure for plants is not an exact science. There will always be variables such as cloudy days and places where it gets to be 100 degrees in the shade. And exposure preferences are also extremely dependent on how much moisture the plants get. The only real gauge is how well your plant is growing. If the leaves look burned or if the flowers are lanky and leaning toward the sun, the plant is probably not in an ideal spot. Before that happens, use the definitions below, to get a better idea of the generally accepted standards for determining sun exposure in the garden. For a garden to be considered full sun, it does not necessarily need to be in direct sunlight for all the hours of daylight. A garden is considered the full sun as long as it gets at least 6 full hours of direct sunlight. Full sun is probably the trickiest level of exposure because while many plants need full sun to set buds and flower, some cannot handle the intense heat and/or dry conditions that often come with that much sunshine. One way around this is to site these sensitive plants where they will get more morning sun, than an afternoon. It's cooler in the morning and as long as the plants get at least 6 hours of direct sunlight, they should grow well. There are also many plants that will thrive in more than 6 hours of sun, that can handle dry growing conditions, once they become established. Whatever full sun plants you choose, a thick layer of mulch will help conserve moisture in the soil and keep their roots cool. The majority of flowering annuals and perennials will enjoy full sun, provided their moisture requirements are met. If a plant is listed as partial sun, greater emphasis is put on its receiving at least the minimal sun requirements. These plants need several hours of sun to set flowers and fruits but are not as fussy as sun worshippers that need a full day of sun. You may need to experiment to find the ideal spot in your garden for plants listed as partial sun. Luckily there are not many of them. If the plants you've tucked into a partially shady garden aren't flowering or growing up to expectations, it is probably because they need more direct sunlight. If a plant is listed as partial shade, the plant will need some relief from the intense heat of late afternoon sun. You can easily accomplish this either by planting where a nearby tree will cast afternoon shade or by planting on the east side of a building, which will be blocked from direct afternoon sun. Plants for partial shade include impatiens and most begonias. Dappled sunlight is similar to partial shade. It is the sun that makes its way through the branches of a deciduous tree. 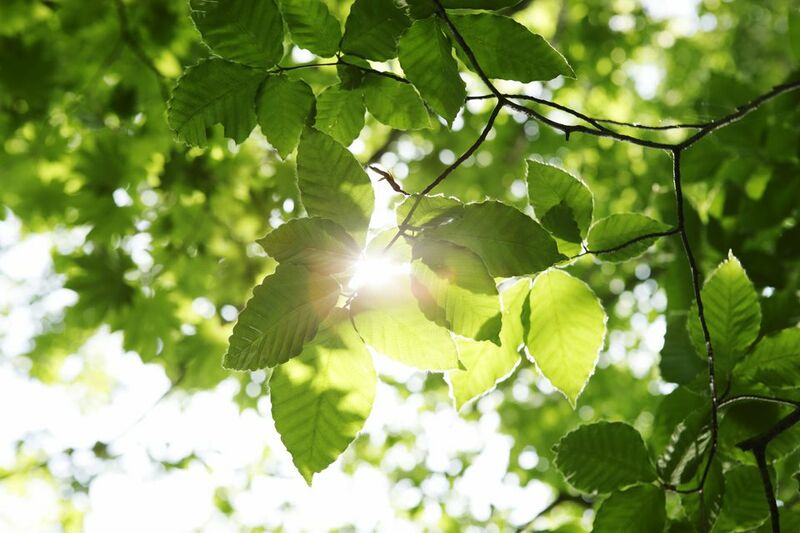 Woodland plants, like trillium and Solomon's Seal, and understory trees and shrubs prefer this type of sunlight over even the limited direct exposure they would get from partial shade. It would still be wise to check the moisture requirements of any plants you are planting under a tree, since tree roots tend to soak up a lot of groundwater and smaller plants will need supplemental water, to become established. Full shade does not mean any sun. There aren't many plants, other than mushrooms, that can survive in the dark. Full shade plants can survive on less than 3 hours of direct sunlight each day, with filtered sunlight during the rest of the day. Hosta, Astilbe, and Heuchera are all considered shade plants.